As with Devexpress XAF WCF Server, how to set up a Xafari Server? Do you have a working Client/Server example ? We did not quite understand the question. If you wanted to use Xafari Server with Devexpress XAF WCF Server, then you can do it. Devexpress XAF WCF Server will not interfere with anything here; the client can create queries through this intermediate server. My question is how the clients interact with the Server? Also, if I want to use Xafari server with DevExpress XAF WCF, do you have a working example? The Xafari Server interacts with the client via the Message Queue. 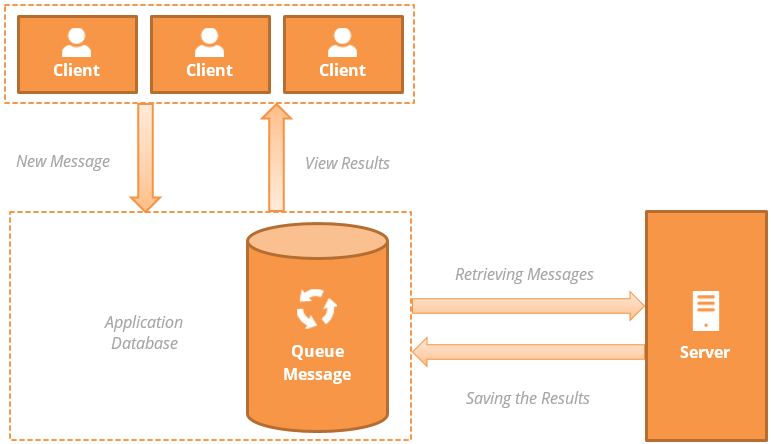 A single Message Queue is stored in a database of a client application. Clients generate new Messages to the Queue, and the Xafari Server process these Messages. To learn more about Xafari Server and Message Queue, refer to documentation. We do not have a working example of using Xafari with DevExpress XAF WCF.